Tuck Pointing, Brick and Chimney Repair Toronto | Turnbull Masonry Ltd > Blog > Blog > How Much Should Your Chimney Repair Cost Each Year? Your chimney provides warmth, style, and even a value boost to your home. But how much can you expect your chimney to cost you each year in repairs? Every year it’s likely your chimney may cost some money; this is because the best way to keep your chimney operating safely is to make sure you have regular maintenance and check ups done. In doing so, it will cost very little and save you money in the long run. So how much should you budget for chimney repairs each year? Allow us to break down common chimney repair costs, plus the average amount homeowners spend on their chimney per year. Your chimney is constantly pouring out smoke and toxins, including creosote, a preservative used in many burning logs. This preservative begins to accumulate on the inner chimney walls, slipping into cracks and building up rather thick. The scary part is that under just the right conditions, creosotes can re-ignite and cause a chimney fire. To help break down creosotes build up, you can burn the peels to citrusy fruits when your fireplace is on. This will help combat the creosote build up in between professional chimney sweeping. To play it safe, you should have your chimney swept and taken care of once a year. So how much will chimney sweeping cost you? The numbers vary and largely depend on the job and how bad your chimney is. According to Angie’s List, the average price works out to be around $150. Beware of cheap-sounding prices, if it sounds too good to be true, it probably is. Properly cleaning your chimney isn’t something you want to take lightly. After all, a good working fireplace and chimney are necessary to keep you and your home safe. Your chimney crown is an entrance point for animals and the elements if it is not properly positioned. Your chimney crown should be regularly inspected for any signs of damage, if any at all you will want to fix as soon as possible. The faster, the better, you want to act before the elements have a chance to get inside and start wearing down unseen parts of your fireplace. You should safe guard your chimney crown as diligently as you do your front door. 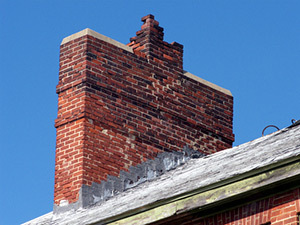 A ballpark estimate for the average chimney crown repair can cost $500 to $2,000. The good thing is, a well-installed chimney crown rarely needs to be replaced. That doesn’t mean it doesn’t need inspections. Moss, animal bedding, water, so many things can start to interfere with your chimney crown. When caught early these problems are much easier to solve. There are some things you can not see without professional tools and equipment, for this reason it’s always important to have a professional inspect your chimney annually. These annual check ups and repairs will save you so much! A total chimney replacement can cost upwards of $4-12,000 dollars—much more than any repairs are going to cost. To repair a fireplace, the average homeowner spends between $446 and $676, the average low is $100 and the maximum high is around $800 (See stats). These numbers largely fluctuate depending on where one lives and the weather in that area. Of course, these are only average estimates; every project is so unique and costs can vary considerably. The best way to find out your options and price range is to call a professional out for a more accurate estimate. If someone comes to your door and offers to clean and inspect your chimney right then and there for one low price, be skeptical. In fact, ask for a business card and then immediately go and look up the business online to see if there are any public reviews available. Often, these door-to-door ‘salesmen’ are offering rock bottom prices because they are not going to do anything to help your chimney. It’s better to do your research and pay a little bit more for quality inspections and repairs. Otherwise, you risk wasting your money and jeopardizing the safety and value of your home. 11% of Angie’s List respondents claimed they had a negative experience with a contractor hired to fix their chimney. Skip the hassles and contact the pros today at Turnbull Masonry, we guarantee to keep your chimney working safe and efficient all year long.